Taken with closeups stacked to about +27. 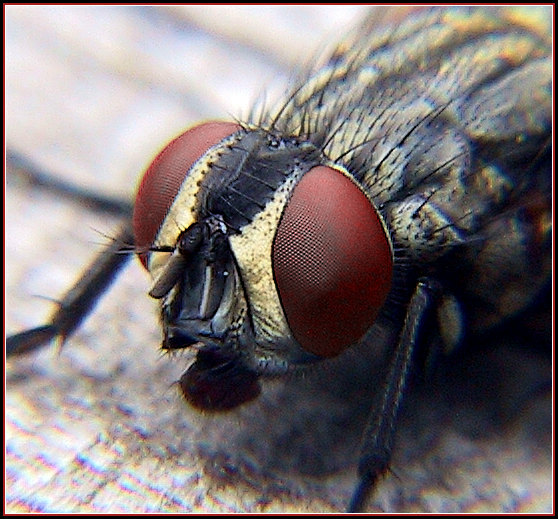 By the way, the fly was alive and untouched by me. All I can say to this is...Yikes! !...and great work! Great macro with sharp details!